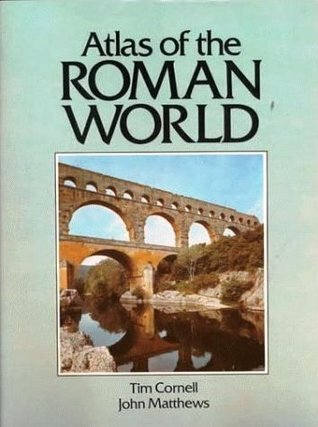 I used this atlas as a sort of companion guide while I was reading The Fate of the Roman World. I considered taking one of the authors' history classes in college, but found him unengaging. The same holds true for the majority of text in this book, which despite its populist format as a "big map book" is written in a fairly dry style that seems to leave out all the most interesting parts of the history it covers. There are some good images and information, but in several cases the maps are difficult to read and/or the text on the page does not correspond to the maps pictured there, etc. If you love Roman history this may be worth picking up but don't go out of your way for it. I wouldn't say I read this cover to cover, and I don't know that it's meant to be read that way, but I've gotten through the parts of it I was most interested in. Great reference for ancient Rome in any period, though perhaps not as graphically sophisticated (i.e. computer-graphicked) as current readers might expect. I borrowed it from the library, but used copies are cheap, so I'll probably order my own.